Ever since his seminary years, Marcel Lefebvre’s constant concern was to be right in line with the constant judgments of the popes and not to have any personal idea; he simply wanted to be faithful to “the truth of the Church and what she had always taught”. Though long obedient to Rome, could Archbishop Lefebvre consider himself bound by guidelines and laws that came from the legitimate authority but were destroying the Church? Hence the Faith could not help but win out over a false obedience. He attended all the sessions of the Second Vatican Council, and throughout the proceedings he witnessed magisterial helping hands that redirected the course of that assembly toward a veritable revolution in the Church. He reacted as an authentic Roman: in order to oppose the subversion of the Council, he founded a group of bishops, the Coetus International Patrum, which corrected or rejected the schemas that were marred by errors. After the Council, when Paul VI (backed by Fr. Annibale Bugnini) produced a new rite of the Mass, the Novus Ordo Missae, in 1969, Archbishop Lefebvre presided over a group of theologians that composed A Short Critical Study on the New Order of Mass. This work was approved by Cardinals Alfredo Ottaviani and Antonio Bacci and shows the Protestant spirit that imbues the New Mass. Published in several languages, the “Ottaviani Intervention” enlightened many priests and encouraged their fidelity to the Mass of All Time. True romanitas is not blind submission to absolute decisions by the highest authority, it is fidelity to its constant teaching, which is apostolic because it is linked to the teaching of the Apostles. The Magisterium of today has genuine authority insofar as it is in line with that perennial teaching. Of course, normally this continuity must be presupposed, but in times of crisis, such as in the days of the Arian heresy, continuity of doctrine is itself the criterion for the truth thereof. 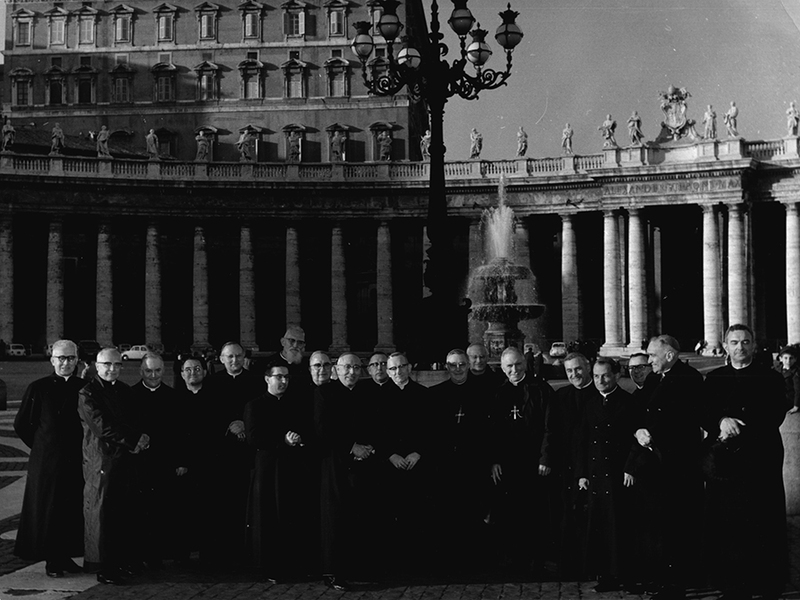 the Rome of neo-Modernist and neo-Protestant tendencies which were clearly evident in the Second Vatican Council and, after the Council, in all the reforms which issued from it.”. 1. Open letter to Pope John Paul II, cosigned by Bishop de Castro Mayer, November 21, 1983, summarized in Tissier de Mallerais, op. cit., p. 531. "We hold fast, with all our heart and with all our soul, to Catholic Rome, Guardian of the Catholic Faith and of the traditions necessary to preserve this faith, to Eternal Rome, Mistress of wisdom and truth." On June 29, 1976 Archbishop Lefebvre conducted priestly ordinations, just as he had done in the preceding years. He was immediately sanctioned by a suspensio a divinis. "And the work I performed in the Church for thirty years, did it also merit a suspensio a divinis?"